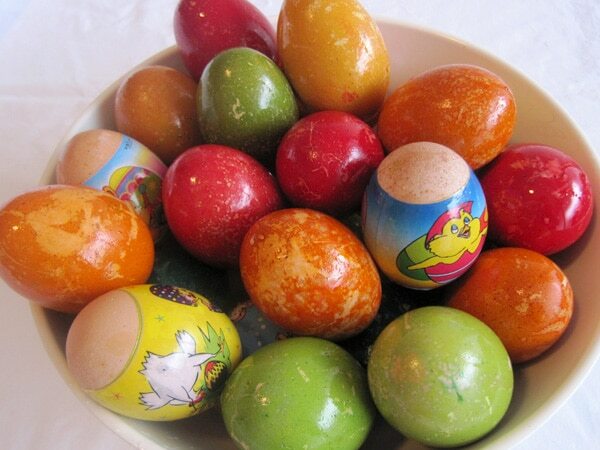 Easter in Croatian is called Uskrs, it comes from the word ‘uskrsniti‘ which means ressurection. 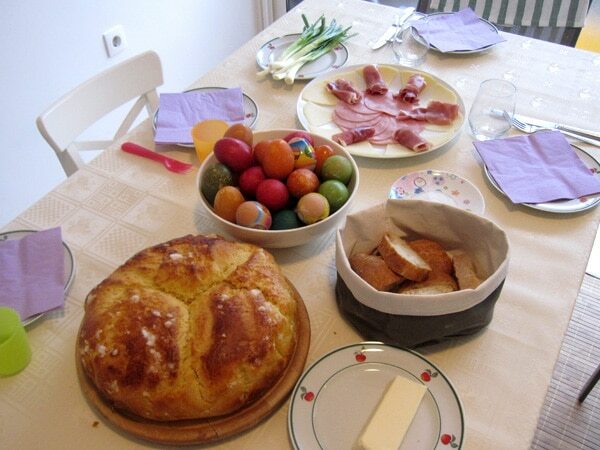 In Croatia, we celebrate Easter as in any Catholic country. 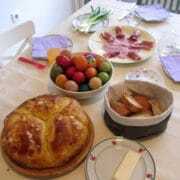 The preparation begins 40 days before Easter with Lent, the Holy Week before Easter is called ‘Veliki tjedan‘. The period from Holy Wednesday to Holy Saturday is a period of meditation. Then Sunday and Easter Monday are feast days, the resurrection of Christ is celebrated. On Palm Sunday Croatian go to the church for the blessing of a branch of a tree like the palm tree, the olive tree or the laurel. The branch is then placed on the crucifix in the house. From Wednesday to Saturday usually people are fasting or they eat less. On Friday we usually eat cod. Many processions take place all over the country, the one on the islands of Hvar and Korčula are very famous. Saturday is a day of mourning because it is the day of Christ’s death. On that day people are fasting. At midnight people go to the church to celebrate the resurrection of Christ. A fire in front of the church symbolizes the passage from darkness to light and the victory of Christ over death. This fire is used to light candles that are taken inside the church. Then come two days of celebration: Sunday and Easter Monday. On Sunday morning a basket is filled with food, it will be blessed at the church. 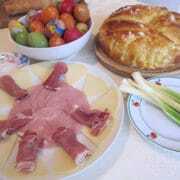 Inside the basket we put ham, cheese, cives, Easter eggs, salt. Inside the country bread will be added as well as horseradish. 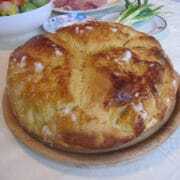 While on the coast we will add a brioche called Uskrsna pogača as well known as Sirnica or Pinca according to the regions. And in some regions we will add a bottle of wine or brandy. Back at home the whole family is at the table for the long-awaited moment of breakfast. Children play to hit the eggs against each other, the winner is the one whose egg has remained unbroken. We are not supposed to throw anything out of the meal, leftovers, crumbs and eggshells should go to the animals or to the ground. Meals that follow are real feasts. On Sunday we eat lamb for lunch, and for dessert we have the homemade cakes that were prepared the previous days: cakes with walnut, carob, and the famous Sirnica which is a symbol of Easter. 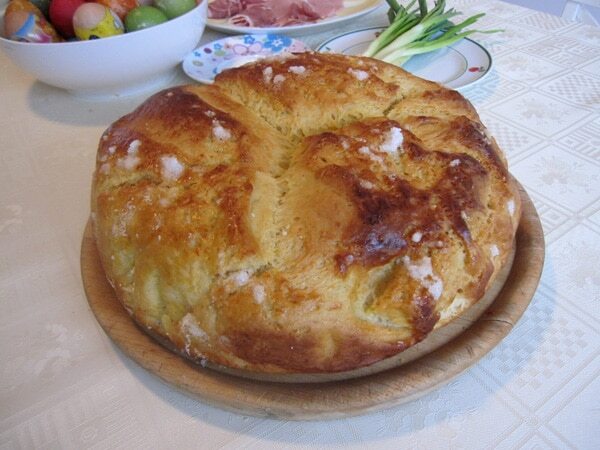 It is a brioche that is prepared only once a year to celebrate Easter. In Croatia it is not a habit to offer chocolate for Easter. Last few years people are starting to do so after foreign supermarkets have settled in the country and offer chocolates during the Easter period. In all over Croatia the tradtition is to paint Easter eggs. Some families still use the traditionnal way to color them by cooking them with red onion leaves to give them a red color, with spinach or parsley to get a green color, with paprika for orange color, and beets for pink color. Then they are rubbed with bacon to make them shiny. But most of the time we use colors that we buy in supermarkets. 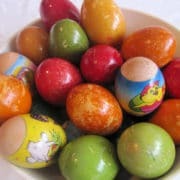 Then we can draw or write on eggs, some are real masterpieces. 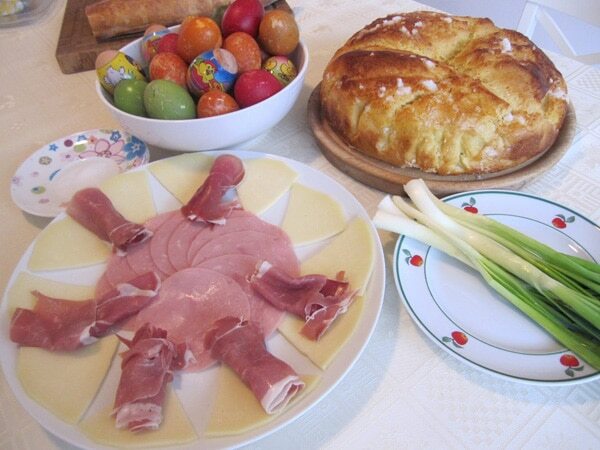 Another Easter symbol that is present in Croatia is the rabbit. Cakes are made in the shape of a rabbit and the rabbit also brings candies or a small gifts to children on Easter Sunday. 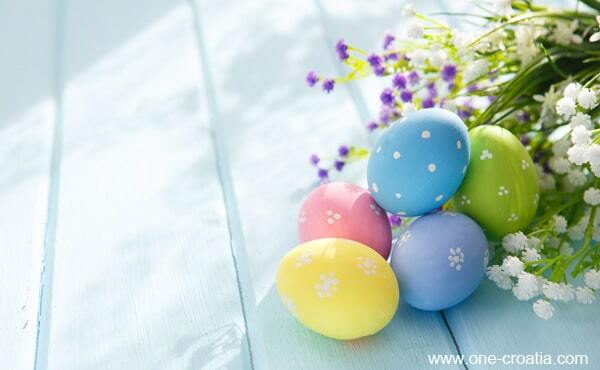 Easter is a joyful time since it is the beginning of sunny days and the return of tourists. Recipe to keep you warm during winter. The information contained in this website is for general information purposes only. www.one-croatia.com can not be held responsible for any errors or inaccuracies in this site.